In addition to carrying your favorite snacks and candy in bulk, Blair Candy also has a large selection of candy store supplies . 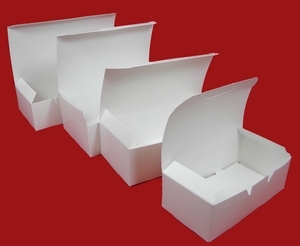 Everything from bags, boxes, and even serving utensils are in stock. 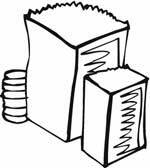 We also have a wide selection of concession paper supplies for your little league concession stand. 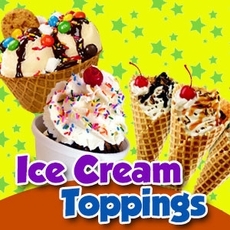 Even if you need supplies for an ice cream sundae bar, we have you covered! No matter what the occasion, Blair Candy has the tools you need for everything to run smoothly. 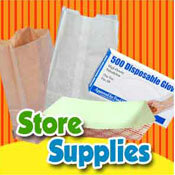 Need a large quantity of concession or candy store supplies? Ask us about our wholesale pricing. We’re here to help you get all of the concession paper supplies, snacks, and candy in bulk you need at a price you can afford. Visit our wholesale page for more information or contact us today to see how we can help!